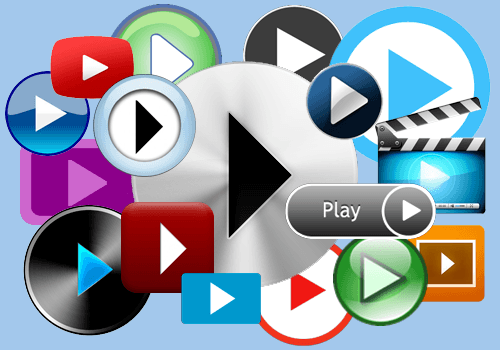 eLearning Authoring Tools / The Player's The Thing: What Is Interactive Video Learning? The Player's The Thing: What Is Interactive Video Learning? Online video means different things to different people. Further, when it comes to interactive video learning, there is no clear public trend -- at least for now. For positive learning outcomes, however, it’s the quality and features of the video player that will make the difference. 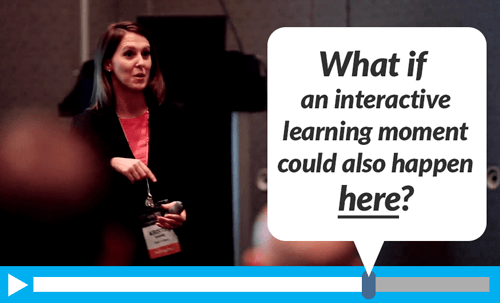 What Is Interactive Video Learning? Mention the phrase "online video" or "interactive video learning" and you're likely to get mixed responses, puzzled looks, or both. Some equate online video with YouTube or Netflix. For the majority, online video is a digital TV -- a place to passively watch favorite shows (plus ads) or a company's latest marketing pitch. Live video streaming, or two-way digital video is expanding -- and occasionally working. However, although live streaming is interactive by nature, it has some serious scheduling and bandwidth limitations for eLearning. To the training and workforce development professional, on-demand, asynchronous video is essential for both online and blended learning environments. The question: How can we distinguish on-demand, interactive video learning from the entertainment, marketing, and advertising uses of video? Choose and compare the LMSs that Support Live Videoconferencing and Webinars! Interactive video learning pre-dates the digital era. "Edutainment" pioneers experimented with ways to make viewers less passive, and more engaged with pre-recorded content. The 1950s CBS children's series Winky Dink is a case in point. It featured kits containing a plastic overlay for the screen -- on which children could color each scene with special markers. Its success was limited. 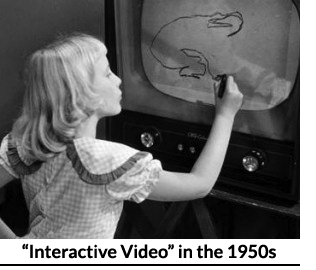 Pre-digital interactivity was mostly commercial in nature, with ratings companies like Nielsen searching for ever more accurate audience metrics and responses. Internet-based video -- like all other web phenomena -- was a potential breakthrough for ad-centric interactivity. In theory, viewing rates could be scientifically measured and the results sold to the highest bidding advertiser. The Web also provided immediate feedback from the viewer, in the form of click-throughs. However, for educators and trainers, interactivity has been more difficult. Online video, like its analog parent, can be extremely passive -- providing visual and auditory stimuli, but not inherently requiring a response. Even in otherwise interactive eLearning courses, video segments are dense "blobs" of content to be watched, and then responded to afterwards. Making the video itself interactive is the challenge. To understand how to make video more interactive, it's important to know that the video player environment is critical. Not all online video players are the same! All have basic functions, like play/pause, a progress bar, and full screen viewing. Some have buttons or overlays for social sharing, voting, and links to other sites -- all beloved by advertisers and marketers. A few have gone further, adding overlays used for eLearning as well as commercial purposes. In 2006, a Lehigh University undergraduate school project (called "Interactive Tube," which became the basis for a patent owned by Viddler) allowed user comments, assessments, and calls to action to be added as clickable overlays on the video timeline. Other innovations have followed, but too often the "pull" of advertising revenue has sidelined the needs of eLearning. Player technology is affected by many circumstances, including the many different operating system and browser versions in use, plus the more recent rise of mobile browsers and apps. Adobe Flash, once a ubiquitous platform for video players, has fallen out of favor -- especially among Apple purists. HTML5-based players are the perceived alternative for mobile use, but often the needs of advertisers trump those of eLearning professionals. Interactive video learning can occur in both Flash and HTML5 players, but it is not inherent to either environment. Although the use of interactive video learning technology is not yet mainstream, one thing is clear. Passively-viewed video is not an inherently valuable learning tool, especially if the player features are skewed towards media and entertainment, marketing, or advertising. Finding ways to engage the student within a video is another matter. Facilitating and measuring student comprehension -- the holy grail of eLearning in general -- must apply to the interactive video learning experience as well. Obviously, the video player is only the visible aspect of interactive video experience. Much more lies below the surface in form of cloud storage, content delivery networks, and related platforms and learning management systems. However, a well-implemented player -- free from the demands of advertising and marketing -- is an eLearning professional's best ally in delivering engaging and effective content.